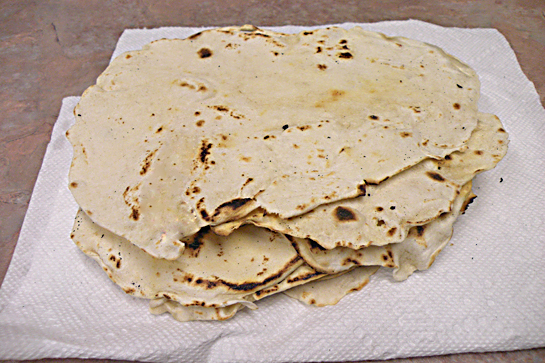 Have you ever prepared your own homemade flour tortillas? It was a first for me. I have wanted to try my hand at them for a long time, but just haven’t gotten around to it until now. I was preparing some Mexican rice and some salsa to freeze and use in other meals, and I had some shredded chicken, so I thought this would be a good time to make the flour tortillas and have me some awesome chicken tacos! They are so delicious when made fresh! They are warm, soft and just a little toasty. So very yummy! I highly urge you to try making your own one day! Mix water with Harina. Knead dough for 5 minutes. Cover and let sit for 5 minutes. Meanwhile, heat a heavy skillet to very hot about 450 degrees. 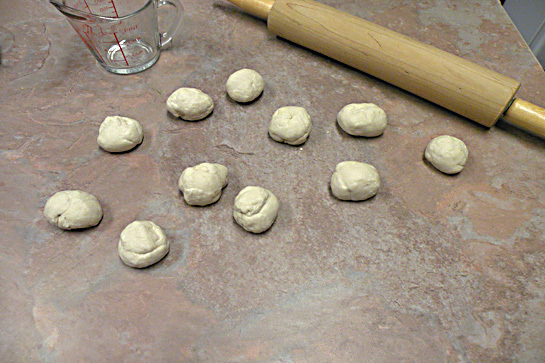 Divide dough into 12 equal portions and shape into balls. Cover to keep them from drying out. Roll each ball into a 6 inch circle. Place in skillet and cook for about 30 seconds on each side. 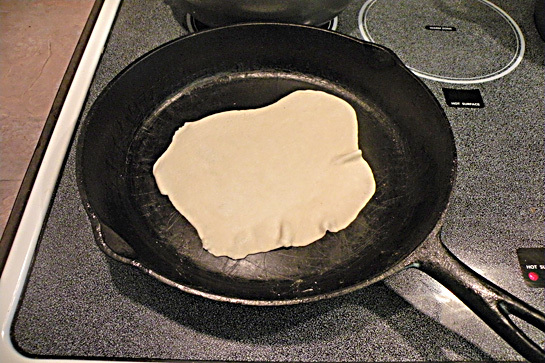 Take out of skillet and cover to keep warm until all are done. Enjoy! Just give me some beans and we are all ready! P.S I recently lost 1000 subscribers and I have no idea how 😦 If you were subscribed, please resubscribe if you can, it would be much appreciated! Yes, I totally agree! That is awful about your subscribers and I will definetly resubscribe! That seems easy enough…..not many ingredients or directions. We eat so much Tex-Mex in this house I know I must try it so I have pinned it. Oh good Kelli, then it is a must! Glad you liked it!